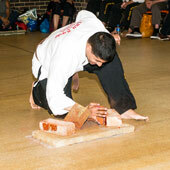 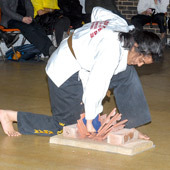 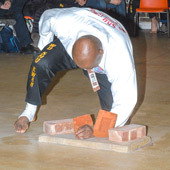 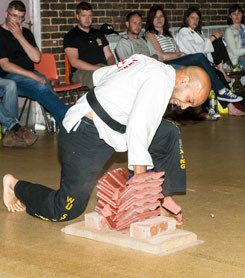 ↑ Arup Roychoudhury breaking a stack of 12 roofing tiles with an extremely powerful punch. 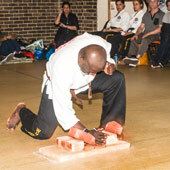 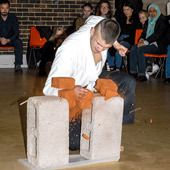 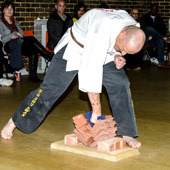 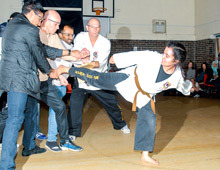 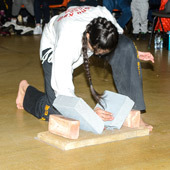 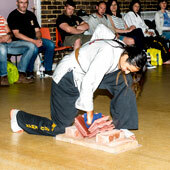 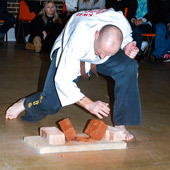 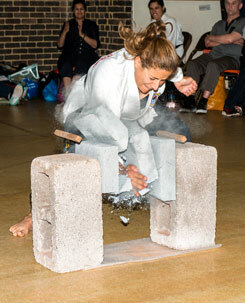 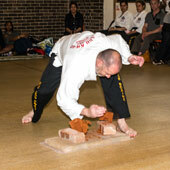 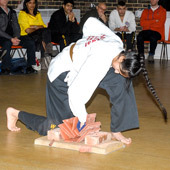 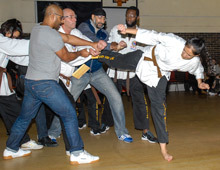 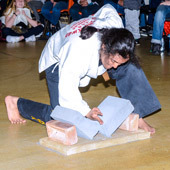 ↑ Dr Androula Alekou smashing two building blocks with her bare hand. 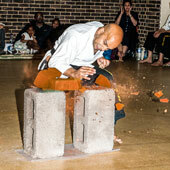 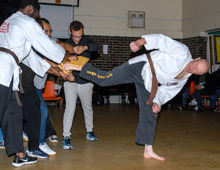 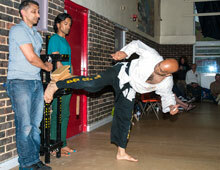 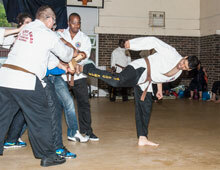 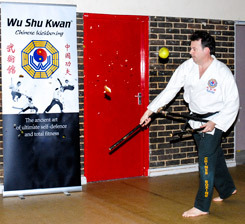 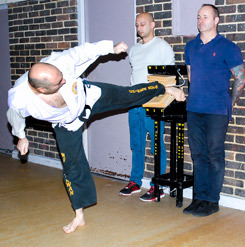 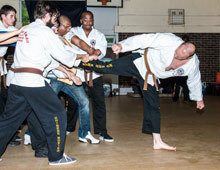 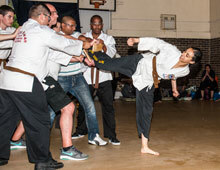 ↑ Andrew Dempsey breaking 3 pieces of wood with a mighty side kick. 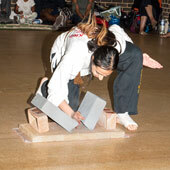 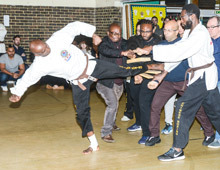 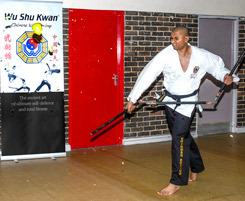 Breaking 4 pieces of wood with a side kick.